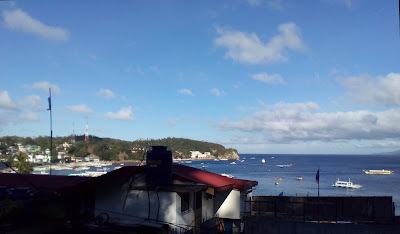 Sabang Harbour, Puerto Galera, Mindoro, Philippines. 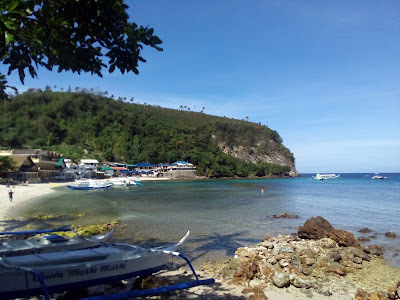 Sabang is a small town located on the northeastern coast of Puerto Galera, Mindoro Island, Philippines. Most visitors to Sabang are attracted by the excellent SCUBA diving provided by the protected marine sanctuary. Big la Laguna beach, Puerto Galera, Mindoro, Philippines. 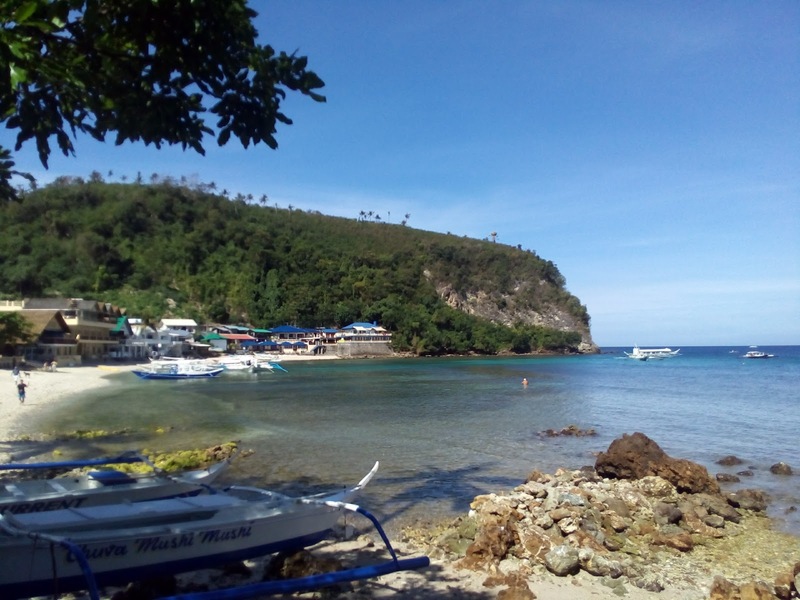 The dive sites that feature a large variety of small sea life with the occasional shark or turtle. Several sites are drift dives and often turn into strong current dives with the best diving being at 18 m.
Beautiful ocean view from the guesthouse on top of the hill. 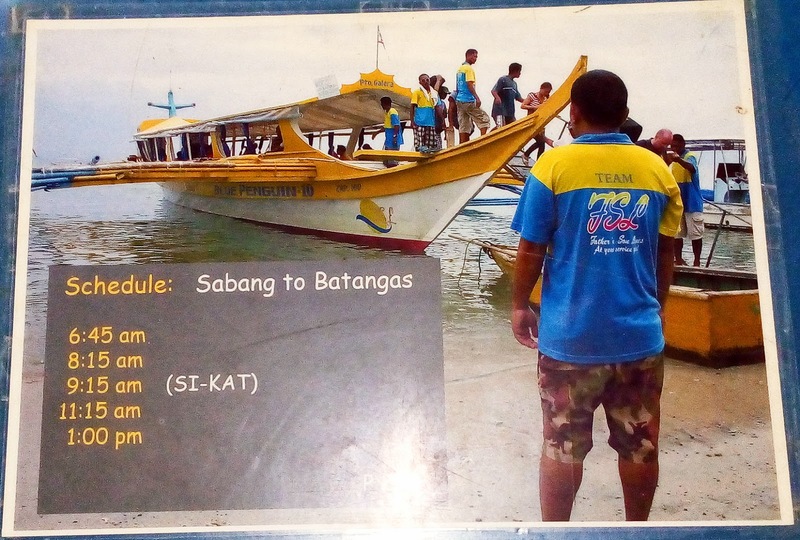 Almost all of the dive sites are within a 10 minute boat ride of Sabang which allows you to spend your surface interval on the shore and it also allows most shops to offer as many as four dive trips each day. Big bangka ferry from Sabang to Batangas. 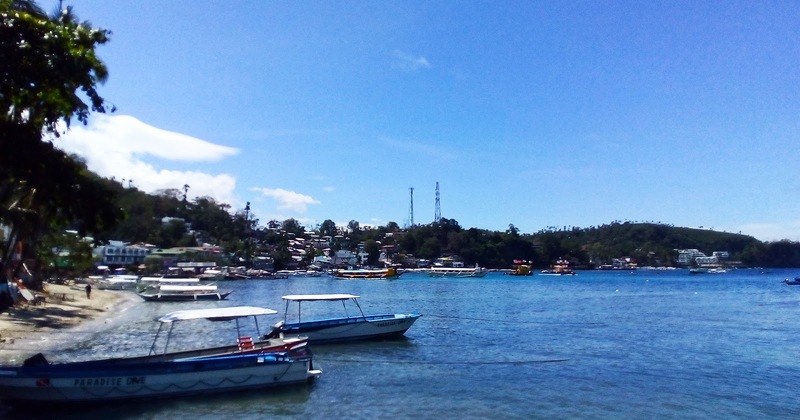 Big La Laguna Beach is the best for swimming and snorkeling with its clean sand and coral reef with cordoned swimming area prohibited to boats.